Herbs and Home Remedies are the oldest medicine practiced, which heavily rely on use of herbs for curing various health issues. The question of weight loss has been answered effectively in Ayurveda. Several herbs are available that help to lose weight and regain natural metabolism rate. People suffering from weight might have heard of garcinia cambogia or Vrikshamla. 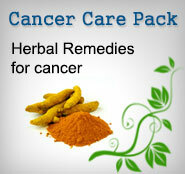 It is one of the popular products Ayurvedic medicine practitioners advocate. Hydroxycitric is major constituent of it, which prevents fat accumulation in the body. Ayurvedic doctors suggests it should be taken with high fat diet, as it also prevents development of fat tissues. Commiphora Mukul Resin is also known as Guggul. It is great fat burner. It works by correcting lipid disorders. It also lowers cholesterols such as triglycerides, lipoprotein or bad cholesterol. It not only lowers bad cholesterol level but elevates good cholesterol and promotes high-density lipoprotein. Great thing about ginger is that it is metabolic activator and increases the rate by twenty percent. Some experts have praised its ability to suppress appetite, which is useful while losing weight. However, not much scientific evidence is available. Regular use of ginger will help you to improve the digestion, this giving you a healthy stomach. In Ayurveda, it is called Kotahla Hirnbutu. It widely used for weight loss. It helps in multiplication and impairs growth of adipose cells. In addition, it effectively cures the people suffering from diabetes, especially insulin resistance diabetes, a condition of excess body fat which effects the sensitivity to insulin. It also known to suppress fat accumulation. Seeds of Nigella Sativa are used for medication. It is popularly known as Kalonji. It has anti-obesity effects. It overall improves the waist hip ratio and body mass index. You could take the seeds with different milk shakes. It has cooling effect on the body. Its root tubers are used for accelerated weight loss. It induces thermogenesis. Thermogenesis is process with in the body that produces heat. A 2 gm of grass root per day significantly reduces the body weight and lower the blood pressure. As per Ayurveda, it is the medicine for reducing fat in abdominal region. It contains flavonoids, which inhibit oxidation process of fatty acids. In addition, it reduces the amount of triglyceride in liver and blood. In long term, it reduces the body fat. What you eat is vital and kind of medicine in itself. As per Ayurveda, obese people suffer from kapha dosha. 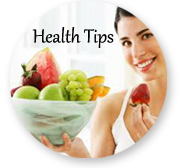 To heal it, you must avoid heavy meals instead eat small meal at regular intervals. This people has low digestive fire, hence they require to take small sized meals. It would be wise if they avoid sweets, cold foods and cold beverages as they could elevate kapha dosha. If you want to turn to ayurvedic treatment for your obesity, take advice from reputed ayurvedic medicine practitioners. Know your condition before taking any kind of medicine.